New Customer Testimonial from Dawn E.
Leila and Ciera are beyond amazing. I have two VERY strong, rambunctious dogs who are difficult to handle. So lucky that the girls can manage them and put my mind at ease. We are so lucky to have found them! How Much Should Your Dog Sleep? Will Neutering Change My Dog’s Personality? 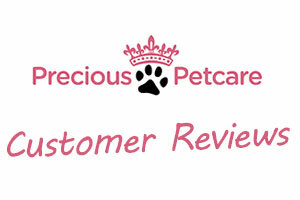 Sign Up For Our Precious Petcare Newsletter for updates, coupons, tips n' tricks, & more!